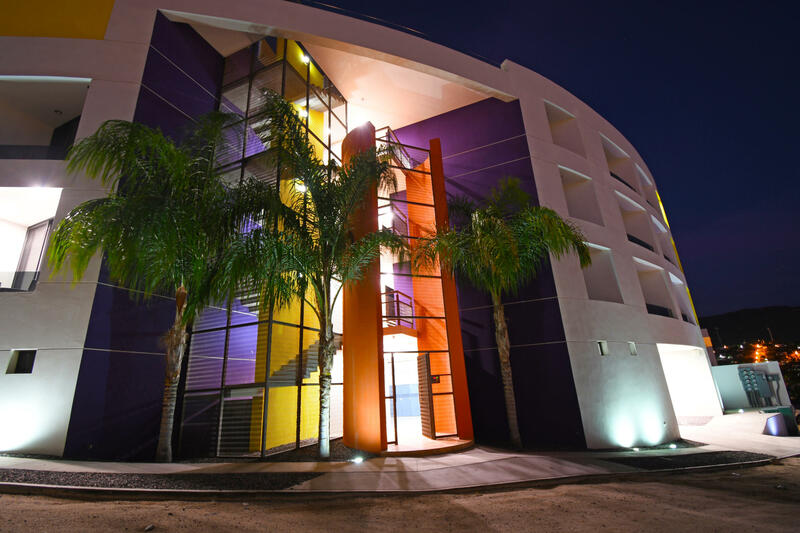 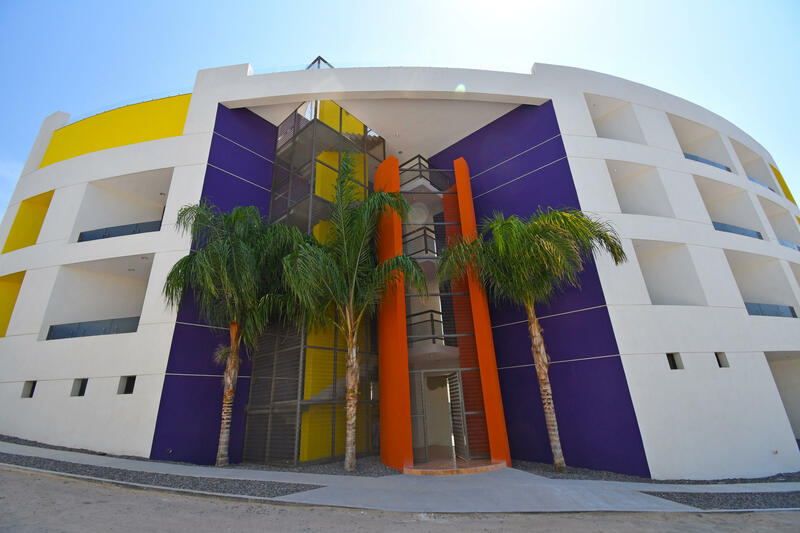 Four story building with 8 one and two bedrooms condominiums. 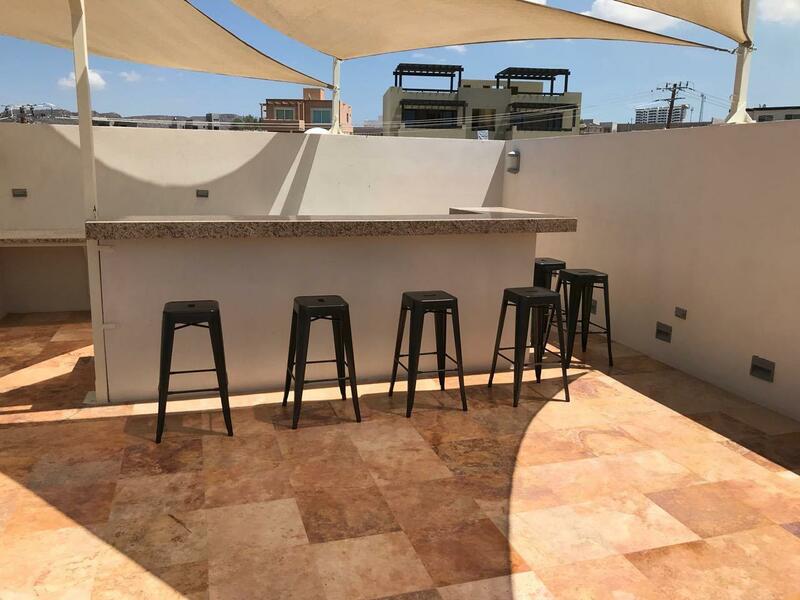 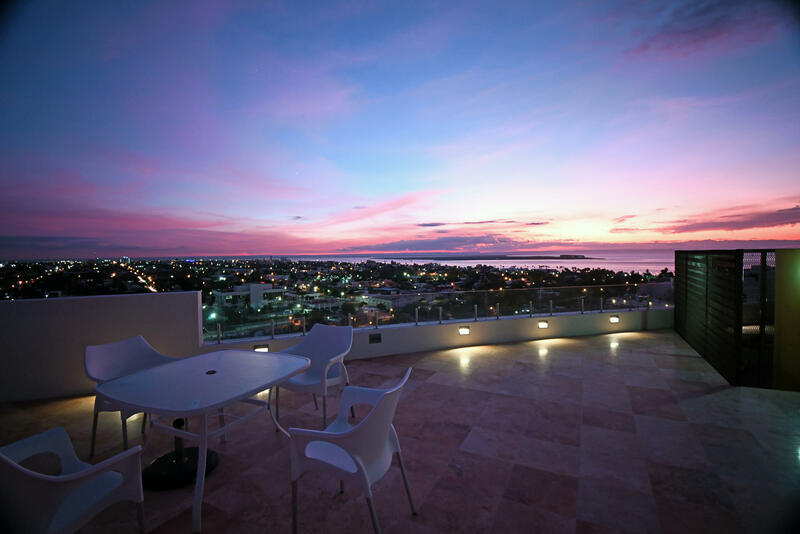 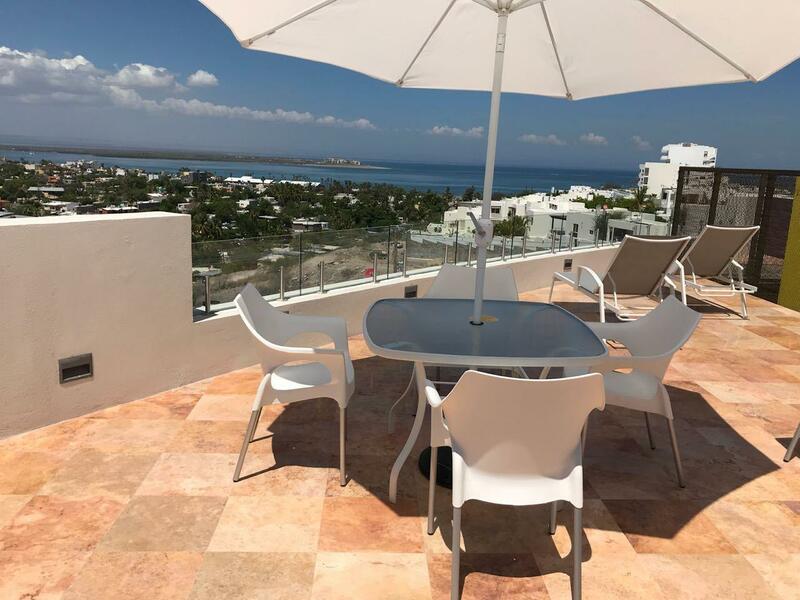 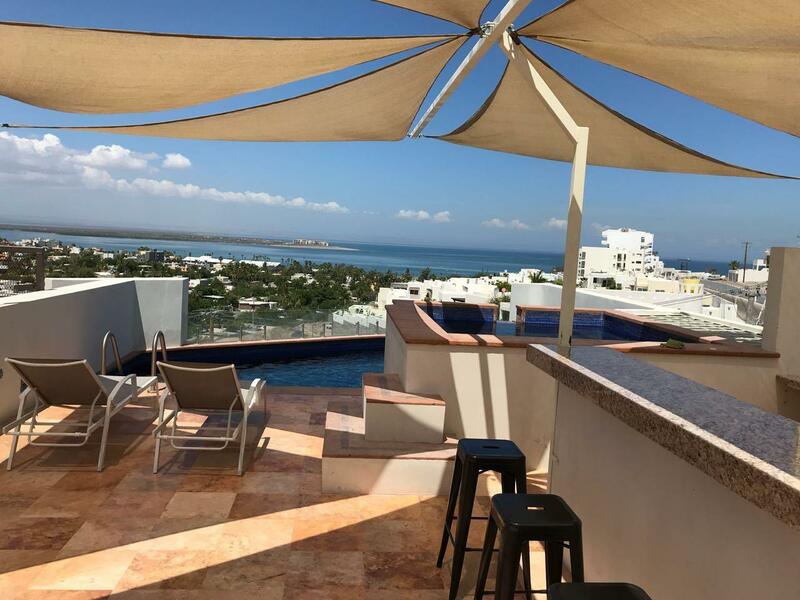 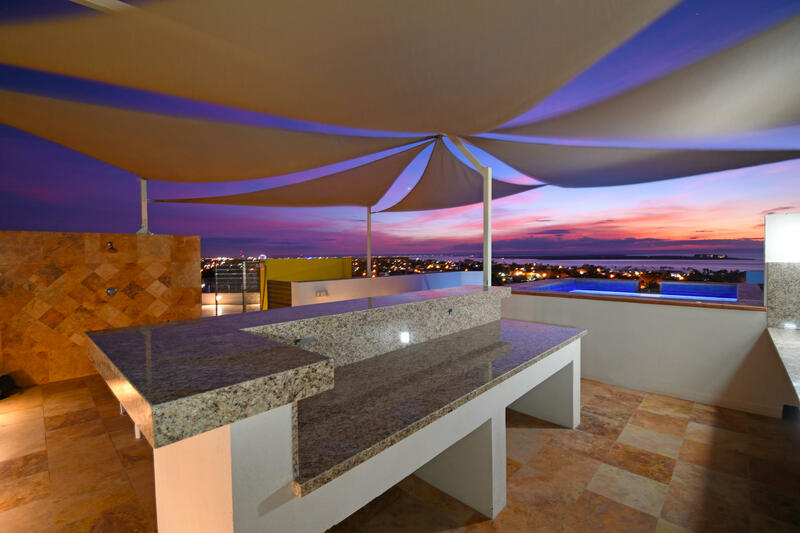 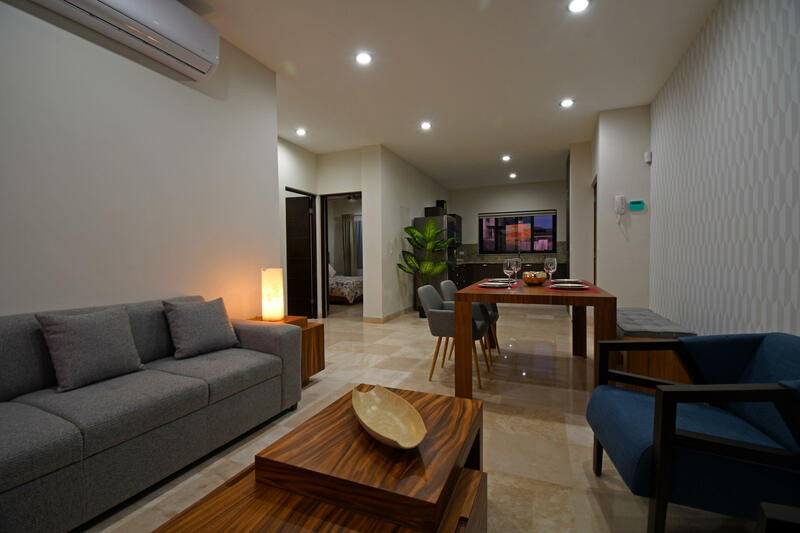 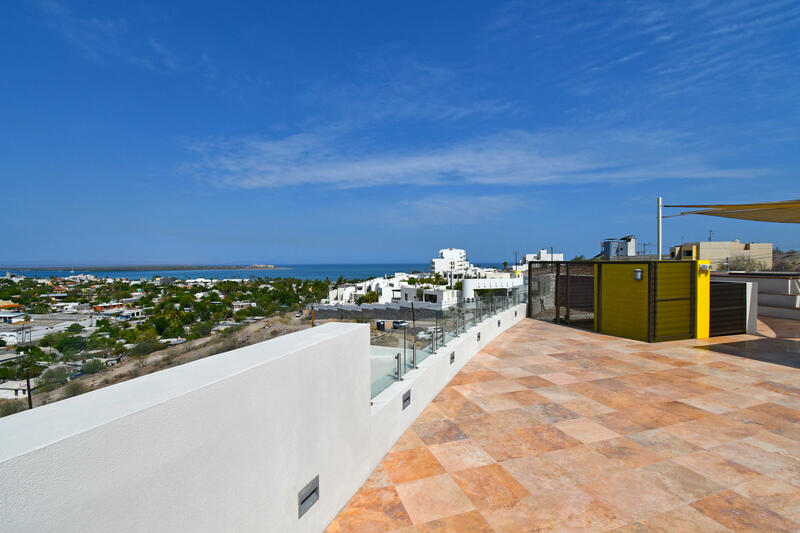 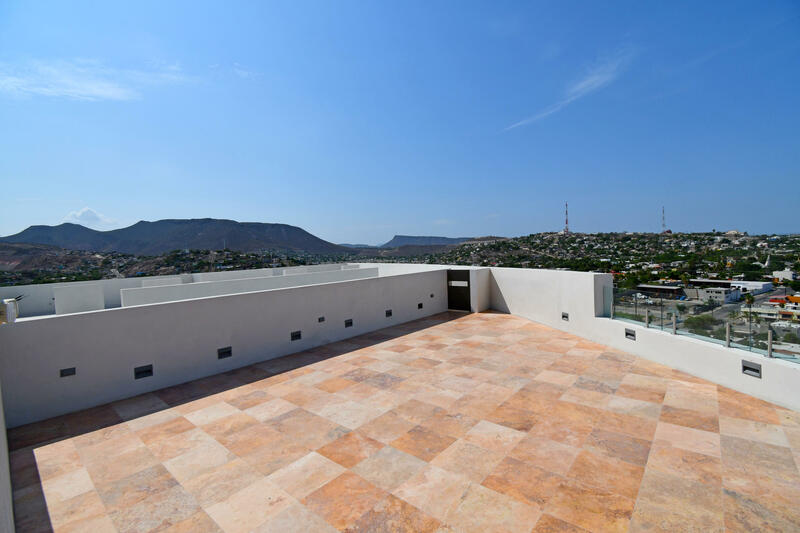 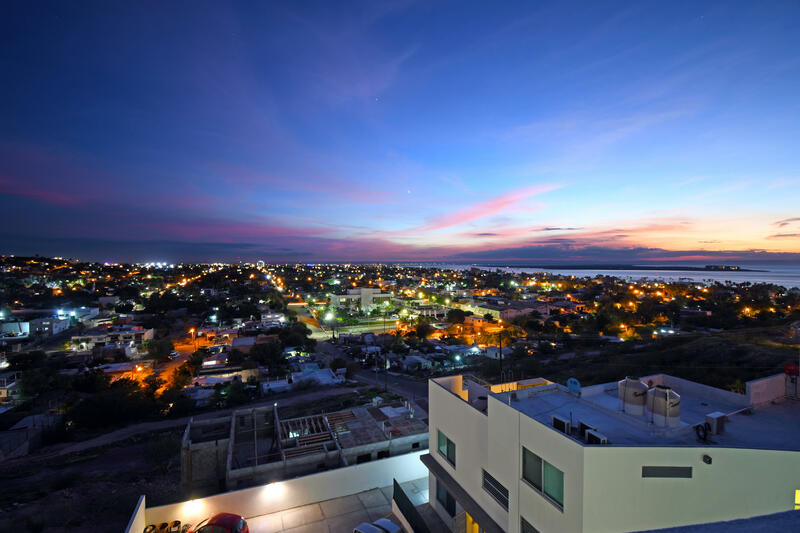 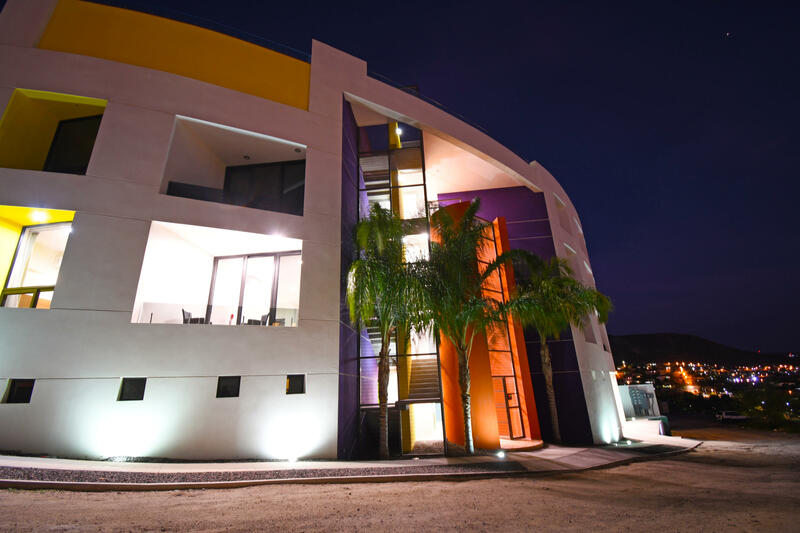 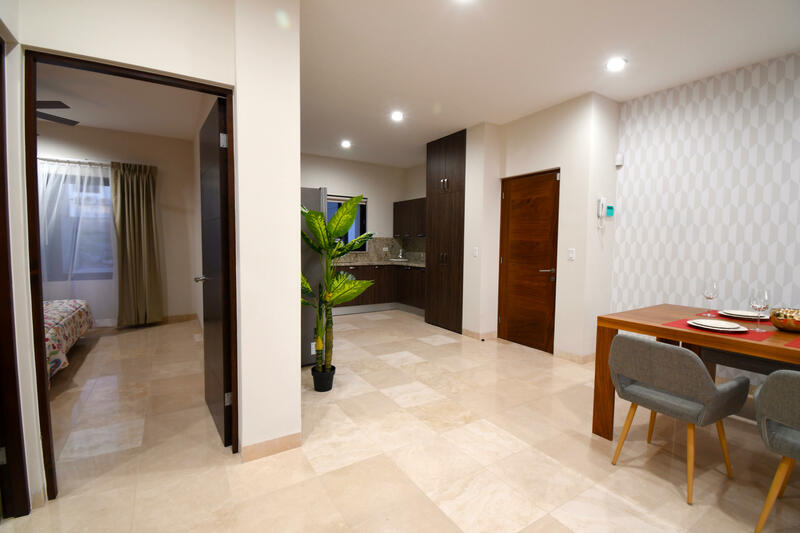 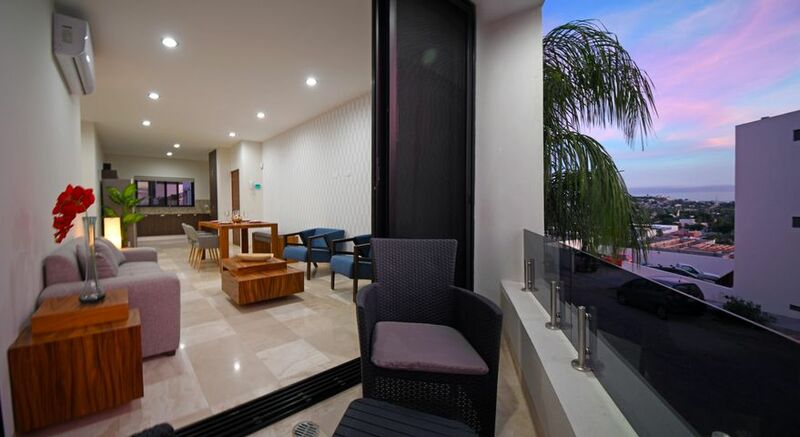 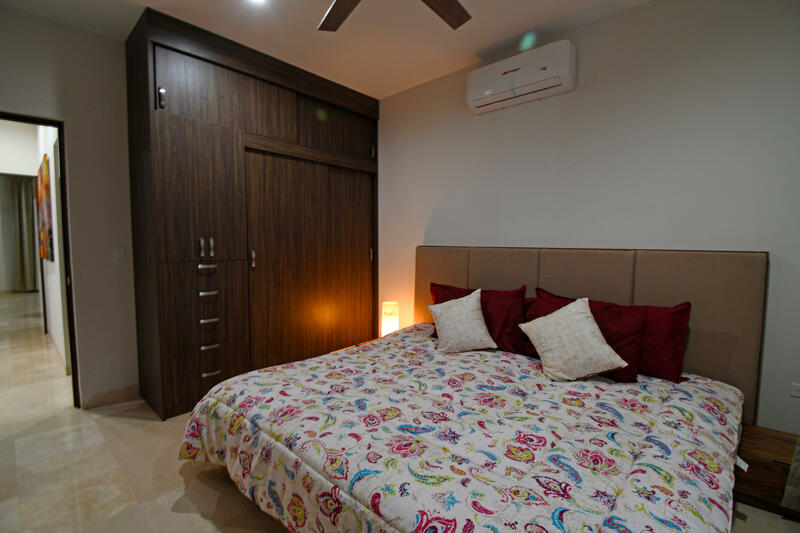 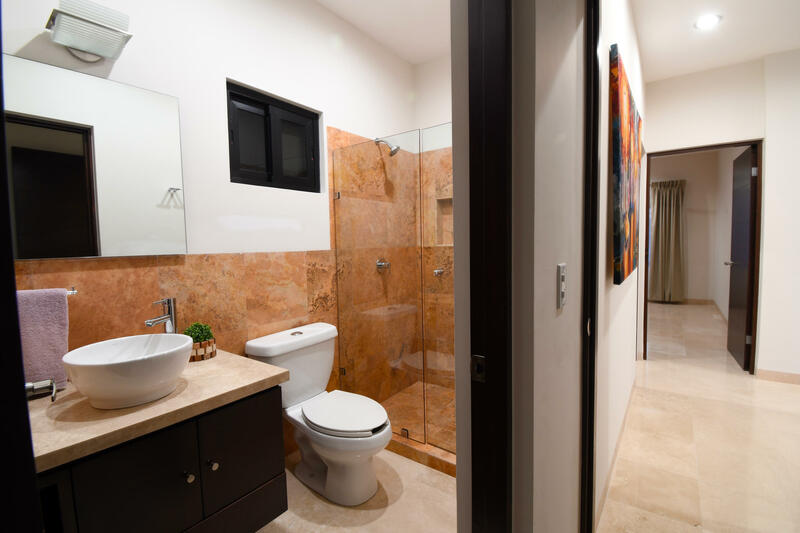 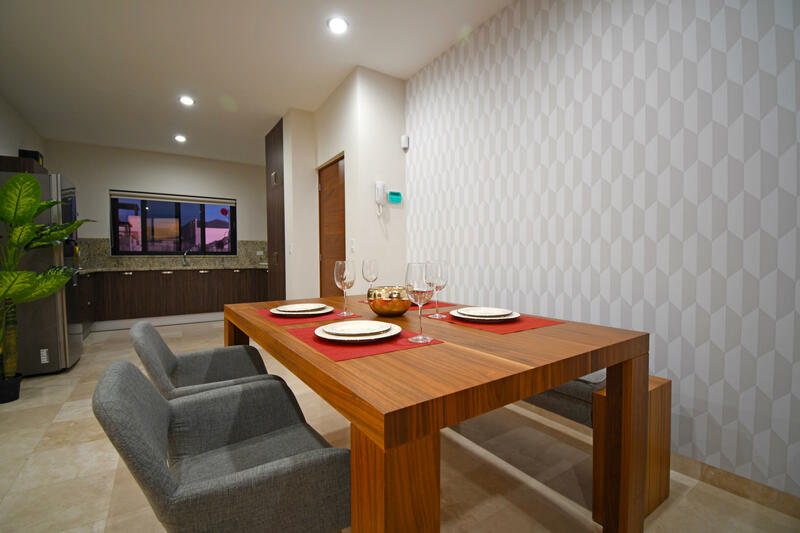 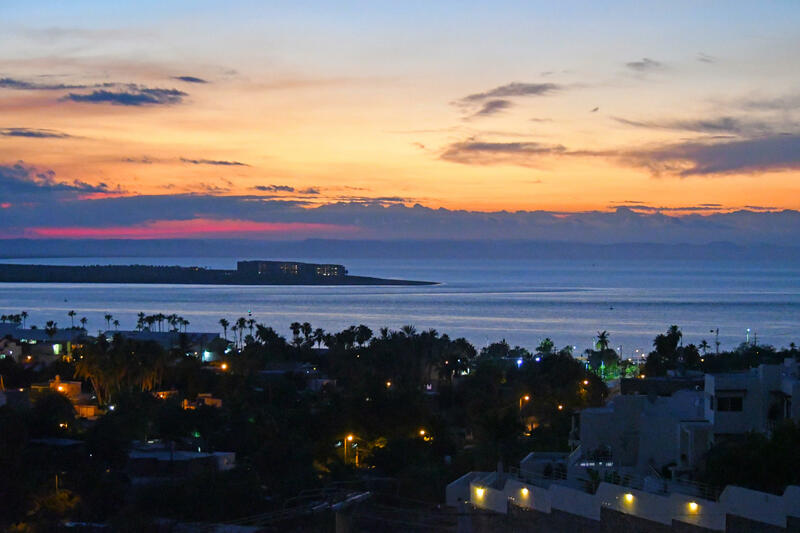 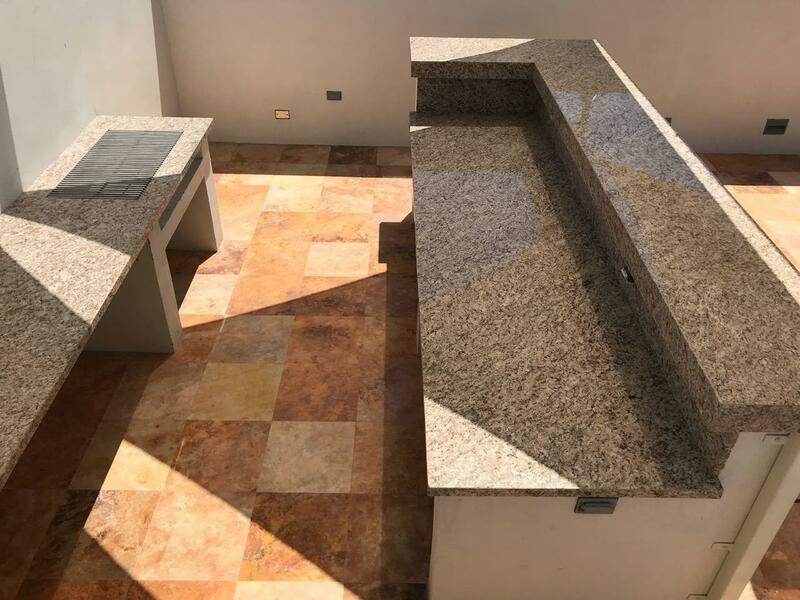 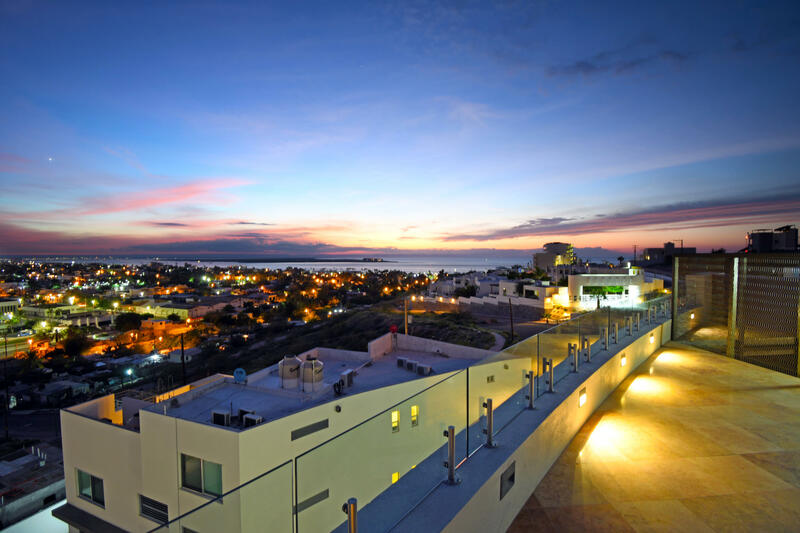 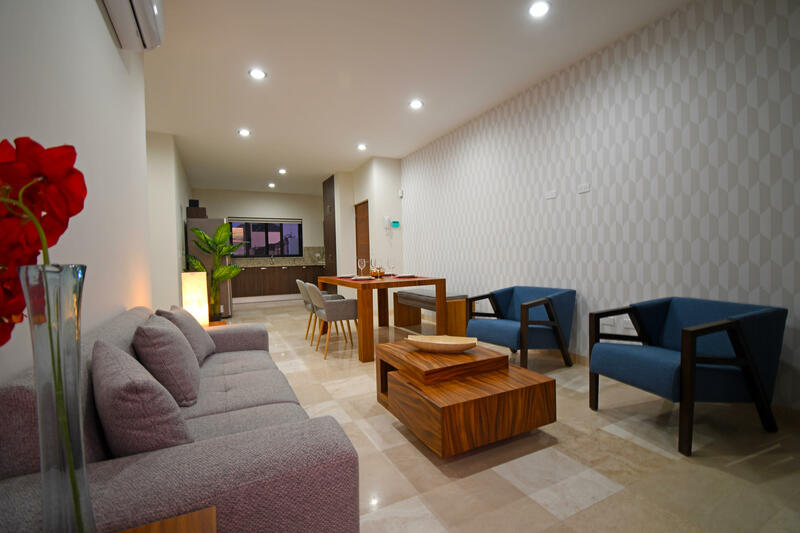 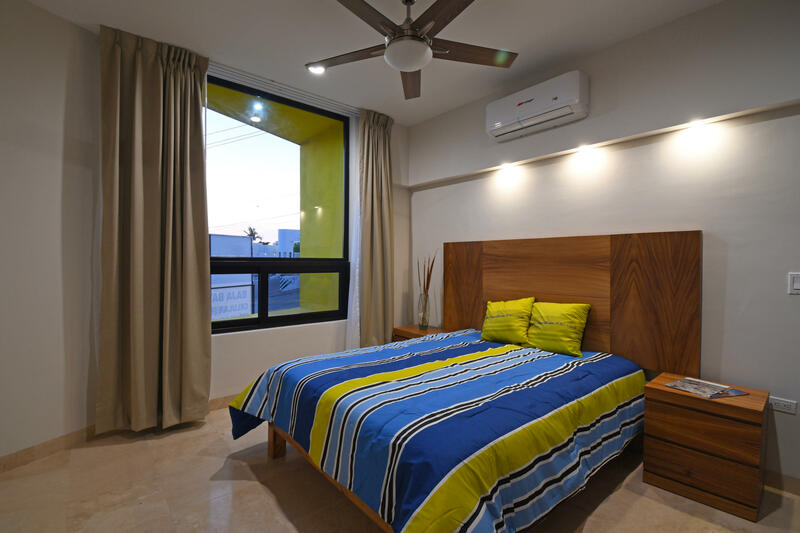 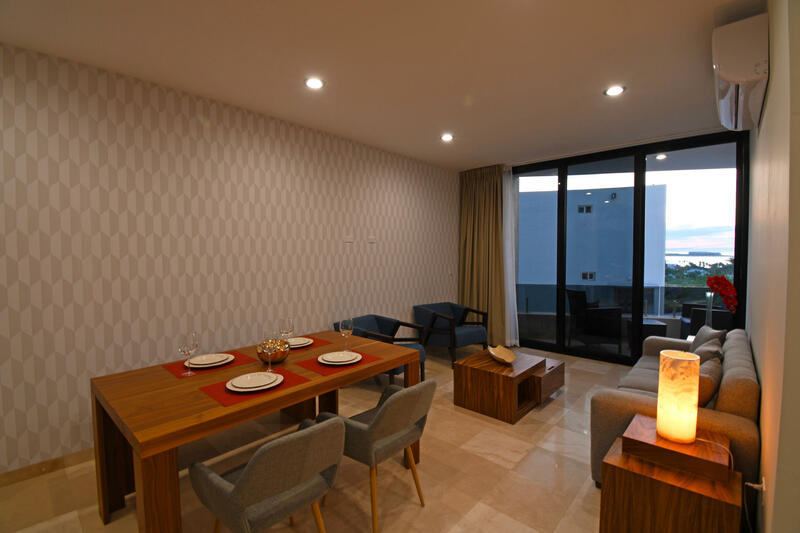 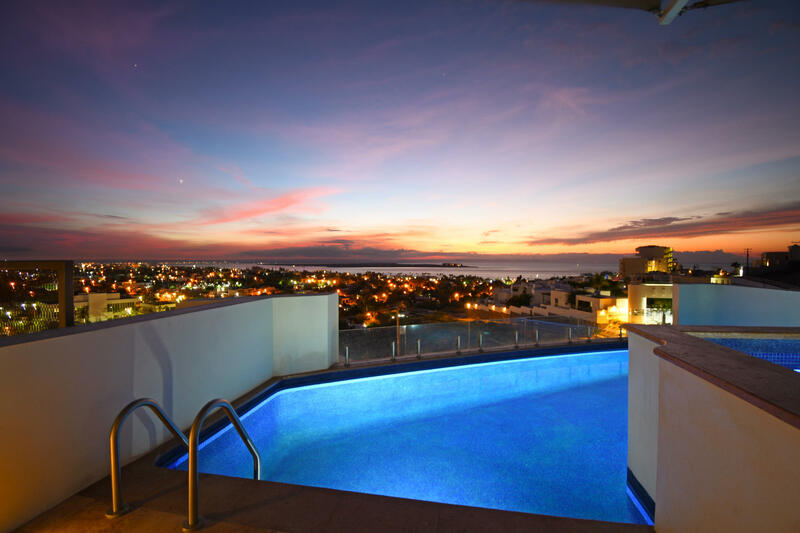 Located in one of the most desirable and growing areas of La Paz, very near to the malecon with partial views to the ocean and great city views. 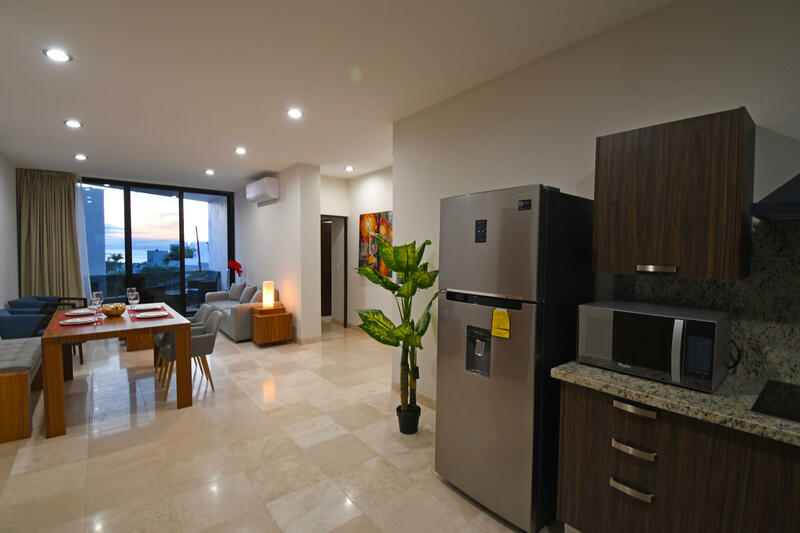 Each condominium has a storage room and one parking. 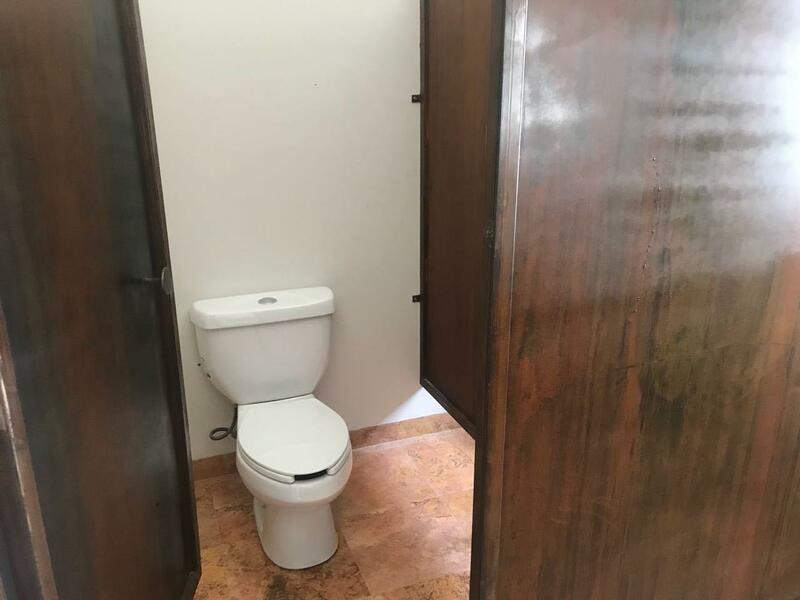 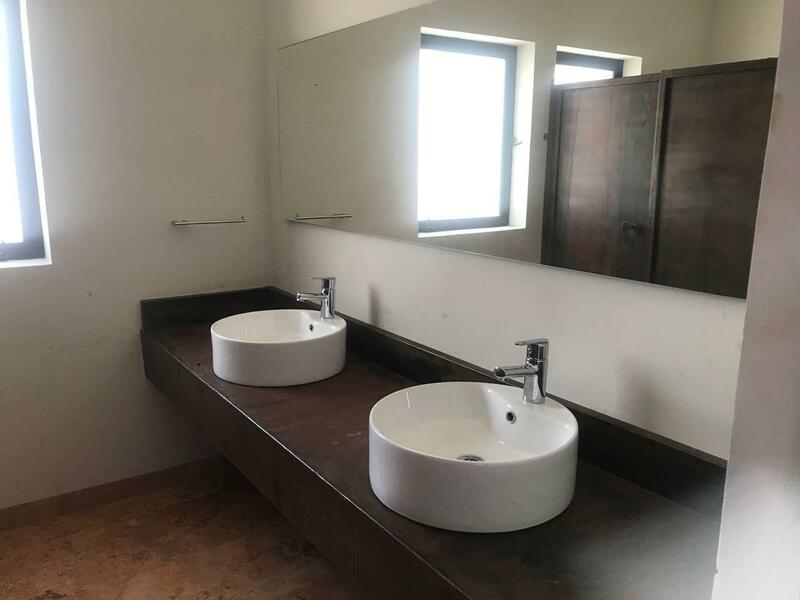 There are common bathrooms in the 3rd floor. 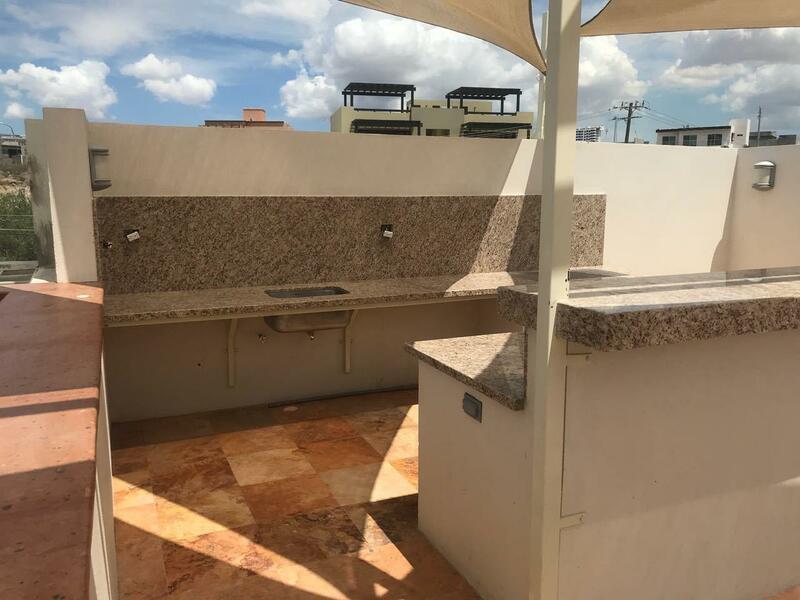 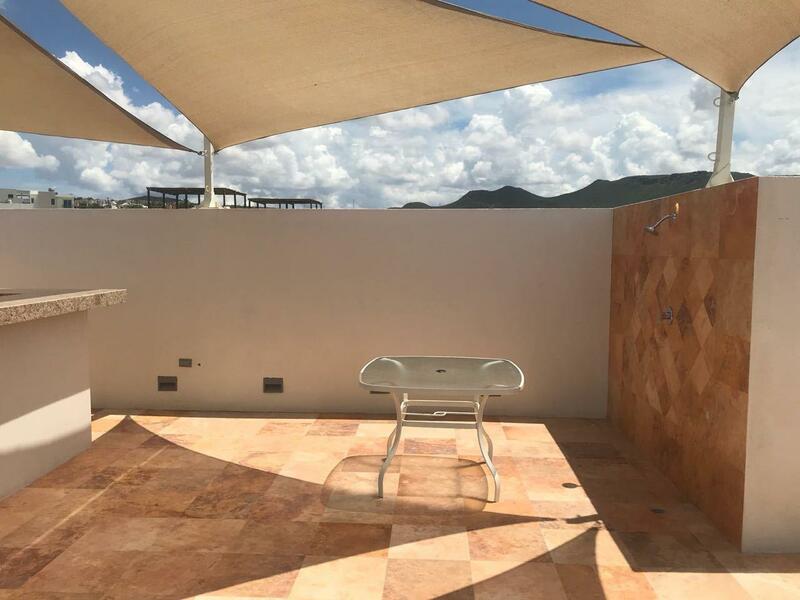 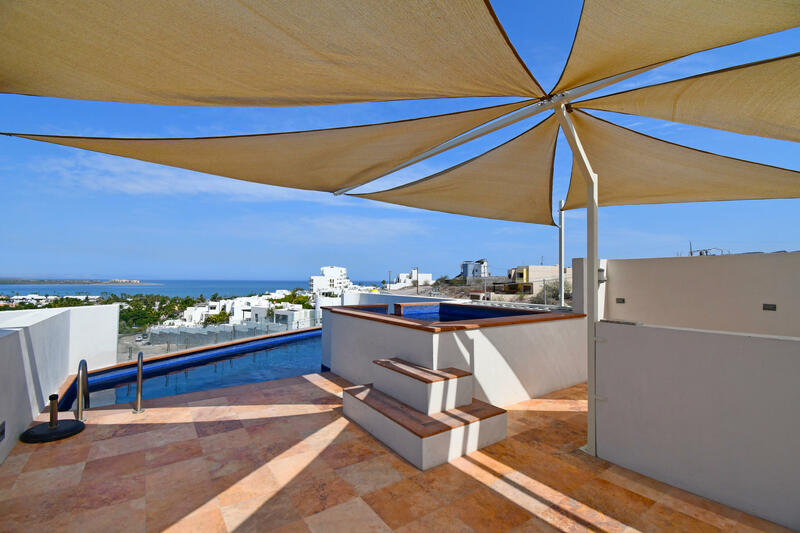 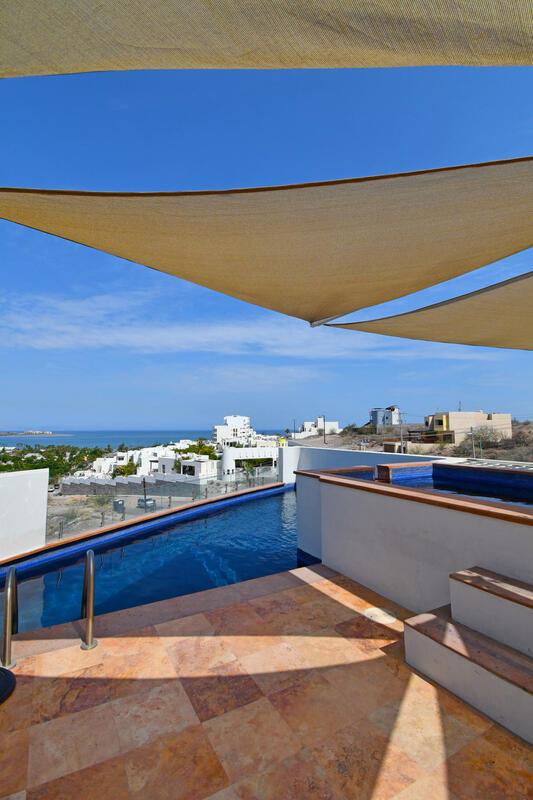 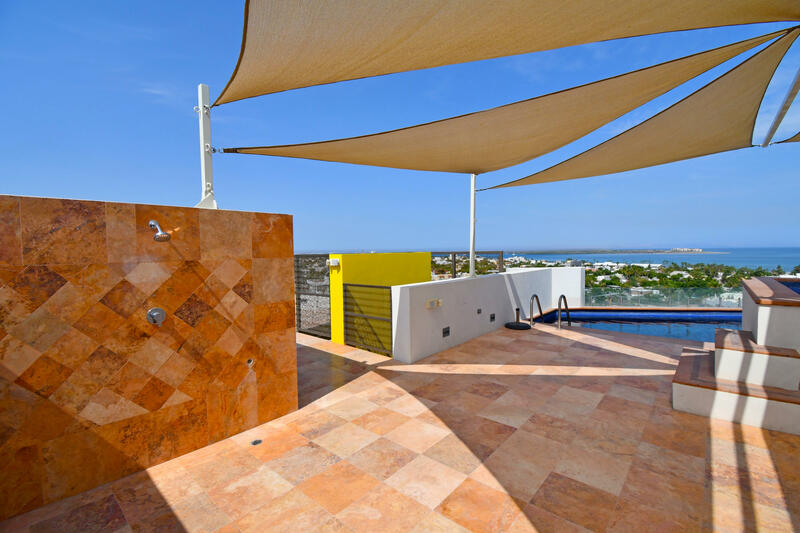 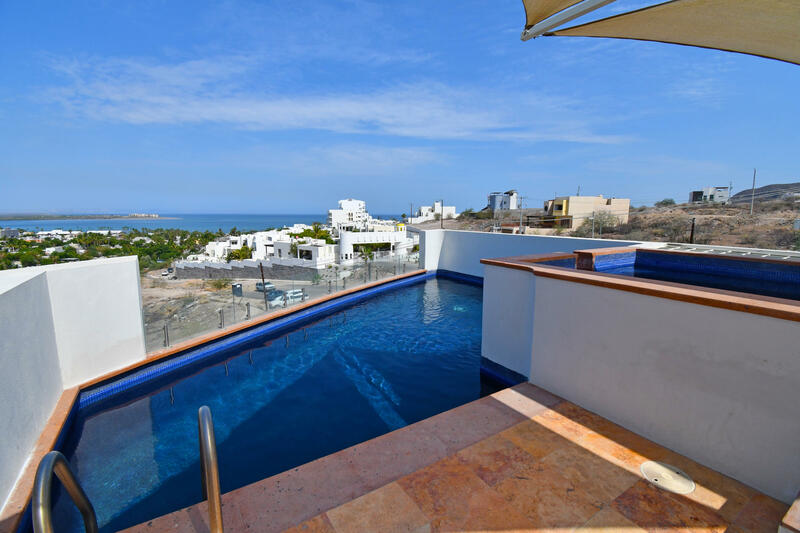 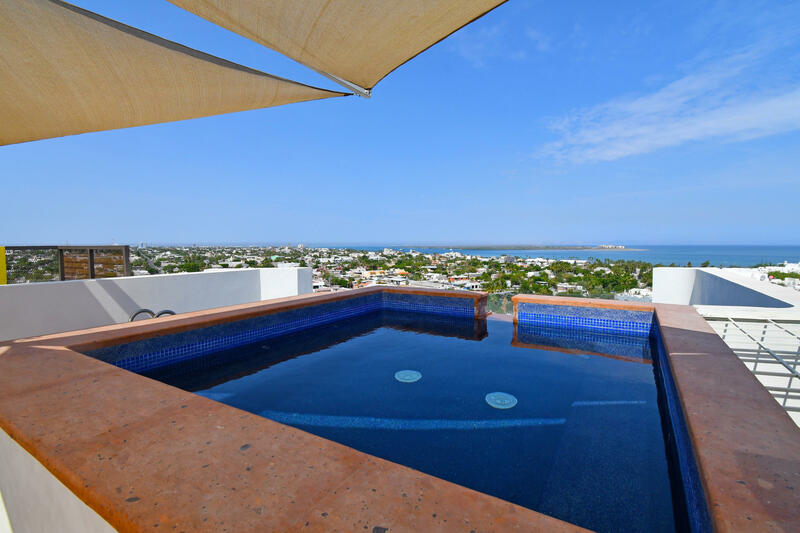 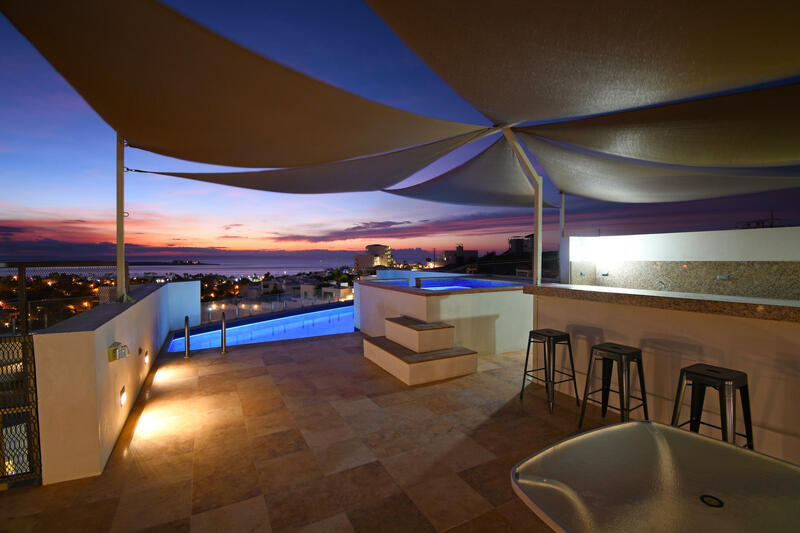 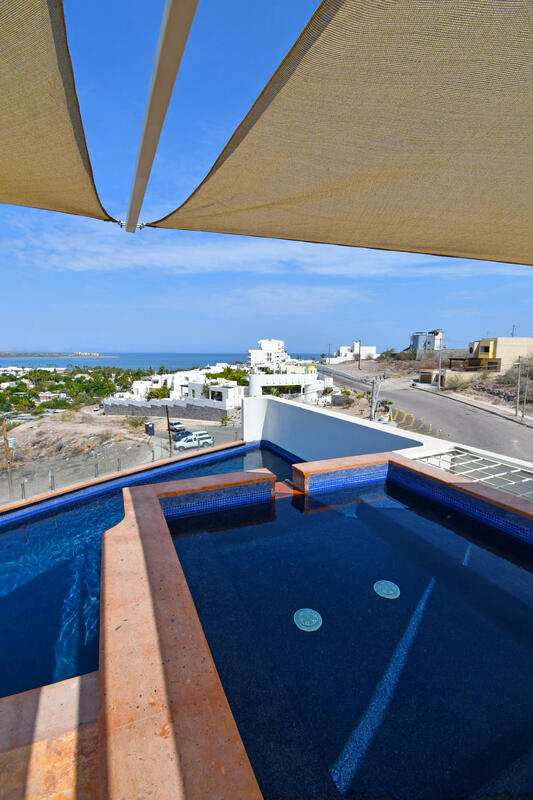 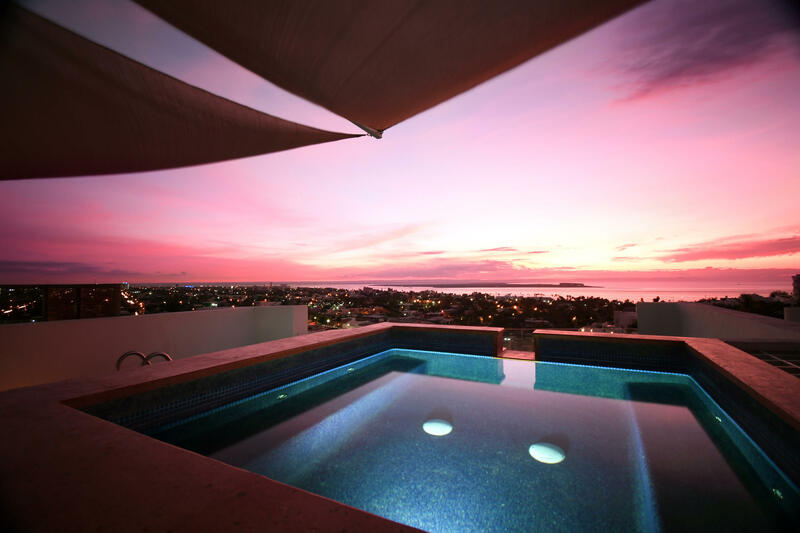 A very nice roof terraza with pool and jacuzzi and bbq area in located in the fourth floor. 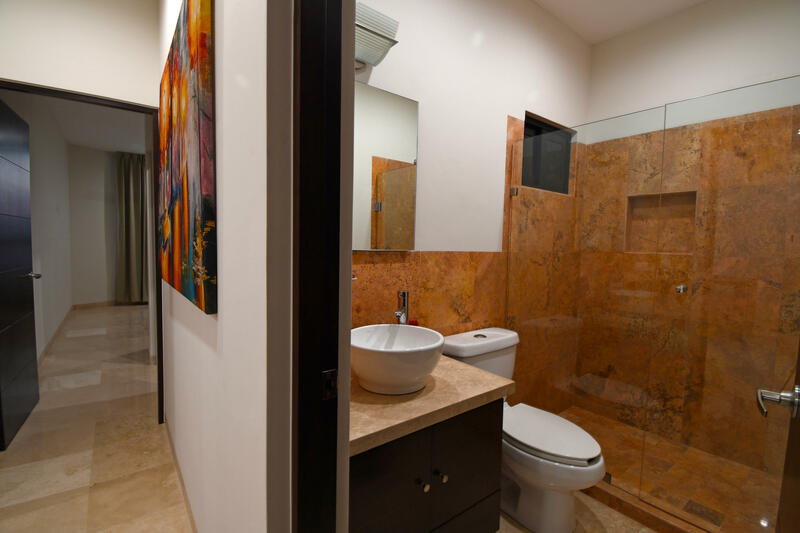 This condominium has marble in all floors and shower area and granite in the kitchen countertops. 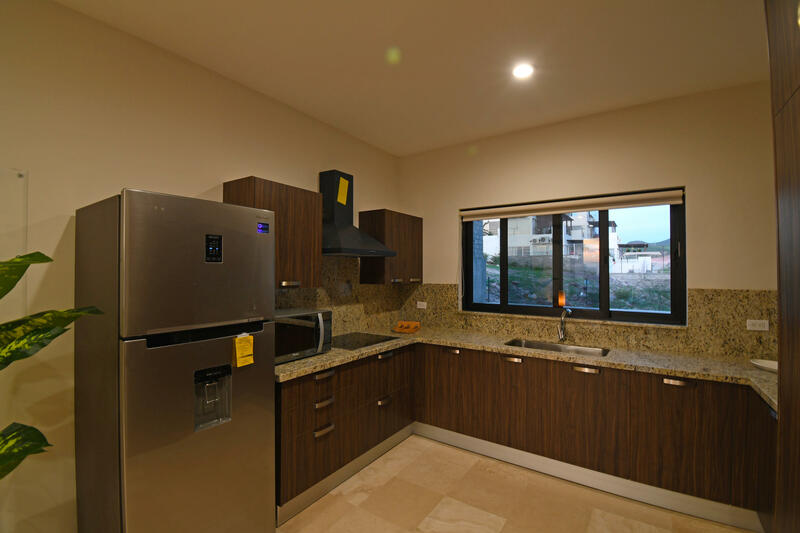 Kitchen cabinets and closets are included.